As a highly-motivated and results orientated young professional within the web development sector of the IT Industry, In the past, my work focused primarily on Digital Asset Management. Now, I'm focused more on mobile and web development. I have a proven track record of working towards providing high quality technology based solutions for multiple clients through Europe and The United States. 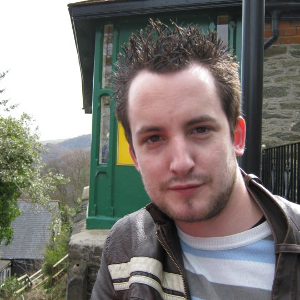 I grew up in a town on the foothills of Exmoor in North Devon, I graduated in 2006 with BSc (Hons) Computing with Software Development from the University of Plymouth after completing a BTEC Higher National Diploma in Computing from South Devon College in 2005. My hobbies include playing with New Technology, Gadgets, BBQing, 10 Pin Bowling, Wheelchair Basketball and Cooking.